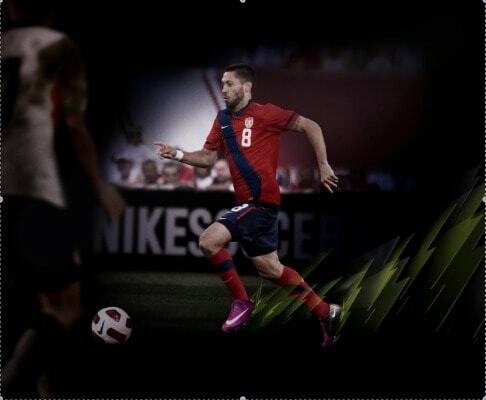 Nike has unveiled a new design for the U.S. Men&apos;s National Soccer team today. This third colorway is regarded as the people&apos;s jersey and it is the most enviromentally-friendly and technologically advanced kit in Nike&apos;s history. The jersey is a vivid red with an obsidian blue sash across the front. The jersey also features "USA" embroidered on the back neck. On the inside, there&apos;s a graphic of a coiled rattlesnake placed above the heart with the letters "DTOM" (Don&apos;t Tread On Me), the team&apos;s motto. The U.S. will be debuting the new kit at the Meadowlands this Saturday, March 26th during a friendly match against Argentina. They are available for purchase starting today, March 24 at Niketown and Nike.com.